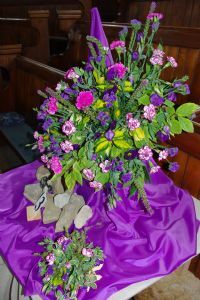 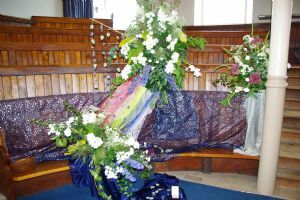 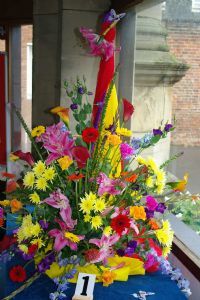 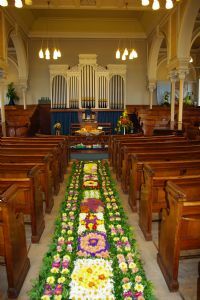 The Driffield Methodist Church presented a Carpet of Flowers and a Flower Festival during September 2010. 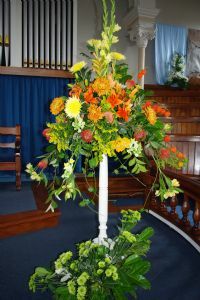 All proceeds - in excess of £1300 - went towards the refurbishment fund. 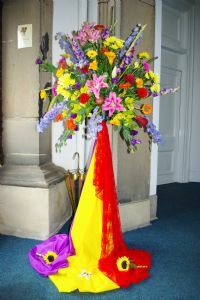 The Festival was dedicated to Mr Jonathan Bradshaw. 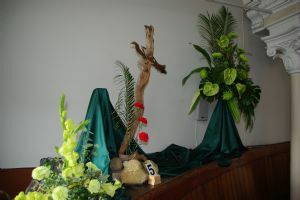 Here are a number of the displays that were appreciated by both Church Members and the community. 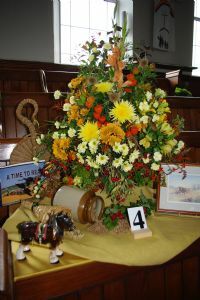 Pat Stabler - "There is a green hill far away"